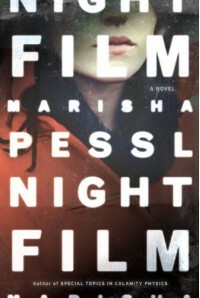 Without a doubt Marisha Pessl’s Night Film is probably going down as my favorite read of the year. It is also the most difficult book I have yet to review. There’s so much I want to discuss and analyze, but I can’t without giving spoilers and I feel that no review can live up to how amazing Night Film is.Scott McGrath, a former investigative journalist, is surprised to hear of Ashley Cordova’s death. Ashley was a young and brilliant pianist whose father is Stanislas Cordova, a notorious filmmaker. Cordova has always been a shadowy figure and goes at great lengths to hide what he looks like. Only one known photograph exists and that’s in a 1977 issue of Rolling Stone. Scott has plenty of reasons to dislike Cordova; after all, he lost his career investigating him and later was sued for defamation. When he gets a tip that Ashley’s death may not have been suicide, Scott finds himself acquiring two assistants; one of which is the last person to see Ashley alive. The more he researches, the more unsettling facts he discovers. Soon he’s at the point of no return and finds himself living a real life nightmare. Will he uncover the truth behind Ashley’s death or will he find himself an unwilling participant in a real life horror flick?Cult movie fans delight! I don’t know if it was intentional or not, but Pessl pays homage to well known directors, films and actresses. In Night Film we have two feuding sisters and it reminded me of the de Havilland sister feud. Joan Fontaine wins the coveted Oscar for her Hitchcock role in 1942 over Olivia’s nomination and in Night Film we have Marlowe and Olivia. It’s Marlowe that goes on to star in a Cordova film while Olivia’s attempts to be cast in one are a failure. Then Pessl gives Ashley a red coat that is important to the plot and if anyone has seen Don’t Look Back, you may recall the child’s red coat plays a prominent role. I couldn’t help but think of Hitchcock as I read Night Film and often compared him to Cordova. No doubt other directors will come to mind as you read. Pessl has done an amazing job creating a cult figure in Cordova. Cordova’s films are so disturbing that no cinema will show them and most viewings are underground via bootlegged copies. His diehard fans, Cordovites, even create a special hidden website that is inaccessible to most of the world and getting past the secured page is difficult (provided you know the url to begin with). If you’re a film buff you’re in for a real treat and it would be interesting to know how Pessl pieced together different aspects of Hollywood. Someone questioned if this was deliberate and while I may question it, you can’t write a book about a cult movie director without inserting Hollywood history. I think of these as hidden Easter eggs and I wish I knew exactly which films Pessl was playing homage to so I could analyze them along with the book as I read. If there ever is a university course based on Night Film sign me up!If there is one flaw to Night Film it lies in characterization. We spend a lot of time with Scott and yet even after the journey we’ve been through I don’t feel like we know him. It’s almost as if he decided he wasn’t going to share himself if the real Cordova wasn’t either. If I may be bold to say, Scott’s a bit selfish. He has a five year old daughter, Sam, but because he’s obsessed with Cordova (something most of his associates thought he got over after the lawsuit) that he’s constantly shifting his visitation days. Even when he was with Sam he was preoccupied with the case. At times it felt as if Pessl gave us Sam to show us what type of man Scott really is and he becomes a cautionary tale. Here’s a man hell bent on finding out the truth that he’s not afraid to destroy those closest to him and that will ultimately be his downfall. He shows no remorse when he first approaches Nora for information fully knowing Nora is the last person to see Ashley alive. And yet, I can’t help but like Scott because he is very much flawed. Pessl gives us this character to make us question his reliability and therefore uses him as the narrative of Night Film. While I’m not a big fan of first person narration, I can’t imagine it written a different way.I’ve already mentioned Nora and she’s recently moved to New York City to pursue a career as an actress. Then we have Hopper who ends up meeting Ashley several years ago and one does question his motives regarding helping Scott find out what happened. The heart of Night Film is both Ashley and her father. Both are shrouded in mystery that we have to find a way to dispel what is fact from fiction. Along with the Cordovas, we also have Cordova’s right hand man or should I say woman, Inez Gallo. Not much is known about her other than she’s his representative and devoted to Cordova. When we finally get to meet her, I wasn’t sure what to think of her. I still don’t know and it is all part of the whole mystery of trying to unravel the truth. We also have a slew of secondary characters that are important to the narrative but there’s so many I can’t begin to touch on them without telling you the entire plot!Pessl incorporates a variety of multimedia features that enhance your reading experience. These range from screenshots of websites to articles to photographs. In many ways, I felt as if I too was part of the investigation and it was a fascinating read. A few readers might be distracted by the documents and several times I skimmed them only to find myself going back to read or look at them in-depth. I can’t imagine reading Night Film electronically and therefore I do recommend you buy or borrow a physical copy because you’ll want to go back to several chapters.At the end of this heart-stopping ride you’ll be left wondering what the heck you just read. Discussion will focus on the ending of the book. Were events orchestrated as evidence seems to suggest or can everything be attributed to the occult? Myself, I like to believe a little both played a hand. Most importantly, readers will be left wondering what happens to Scott. I realize that Night Film might not be a book for everyone. Some might feel the clues given are too obvious, but I have to disagree. We’re left with so many questions that if Pessl made everything obvious we’d know everything up front. I still have my doubts regarding several characters; most importantly Nora because without giving a spoiler, she knew what username / password to create to enter the super secret Cordovite website. How did she know what to use if she herself hadn’t seen his films? Hopper never comes forward with information and I still think of him as shady. One of the most important questions never gets addressed and that’s Cordova and his need for mystery. In the end, I wished he was real and I’m disappointed he’s not.I’ve mentioned the multimedia features that Pessl inserts throughout Night Film, but I haven’t touched upon the research she conducted. I can’t imagine the amount of research Pessl did for this. The occult plays a role and I’m not going to go into detail because it would spoil things. I will say this, Pessl does a phenomenal job with the research and I’d love to know how much she discarded and the whole process of what to include to how she crafted the entire backdrop because it would be fascinating to know.Please note: pay attention to the opening quote prior to the prologue. There’s a quote by Cordova and if it makes it into the final print copy, it will lay the foundation to the theme of the novel. I had chills at the end when I finished reading and reread the quote because I began to think about the clues and the story itself and when I put them into perspective, it all came together. That quote itself speaks so much truth.If only read one book this year, it should be Marisha Pessl’s Night Film. You’ll never look at cult films the same way. I can’t wait for this book to start making the rounds so I can fully discuss it with someone! 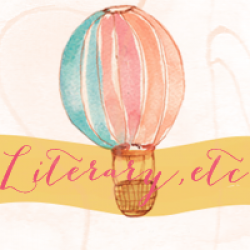 I’m dying to hear your theories and in the meantime I’ll be patiently waiting.This review is posted at Literary, etc.